Al Toprani Trading. 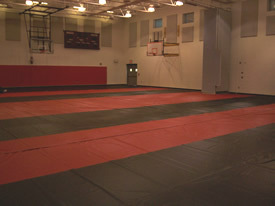 's fabrics offer the broadest range of performance options designed to meet your tarping needs. 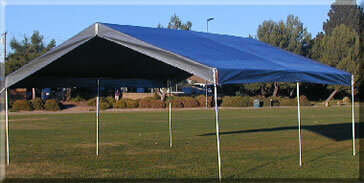 We manufactures and sell standard size & custom made tarps, protective covers and screens. Whatever your industry is, Al Toprani Trading. has dozens of weights and grades of protective material to get the exact fit between your application, how long the cover must last and your budget. Choose from our light but durable 10-oz fabrics or our heavy-duty 22-oz. A special process is used that weaves high tenacity polyethylene tapes into fabric, then laminates the material on both sides. The result is that Tarps are lightweight, yet exceedingly strong. 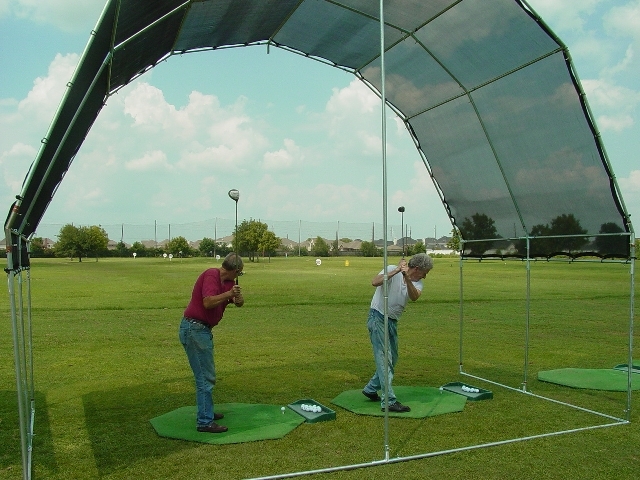 UV stabilizers on both tapes and lamination ensure longer life of tarp. 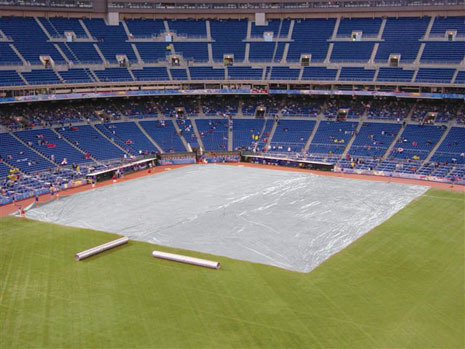 Poly tarps are waterproof, rot-proof and dust-proof. 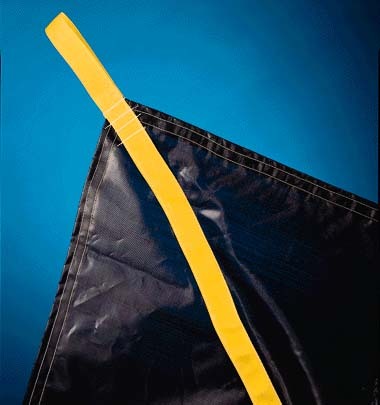 Tarps feature heat-sealed seams, special aluminum or plastic eyelets placed in three feet intervals, reinforced with strong/plastic rope on all sides. 10 to 12 oz / 14oz /18 oz (weight per square yard before treatment) and more. 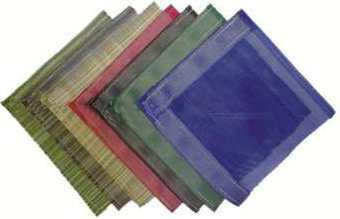 Vinyl Laminated Nylon (VLN) 6 TO 18 OZ PER SQ. YARD. Intended for stationary or moving objects. Lightweight / Heavy-duty , Flame Resistant UV resistant, and reflective. For any product you make, your customer expects to receive it in the same shape it was when it left your shop floor. No paint chips from rocks, rust from rain or smudges from diesel smoke encountered on the road. A Protection so that you can protect your customers' products that you are hauling from wind, rain, snow, ice and sun, from diesel smoke and salt, from debris and other road damage. 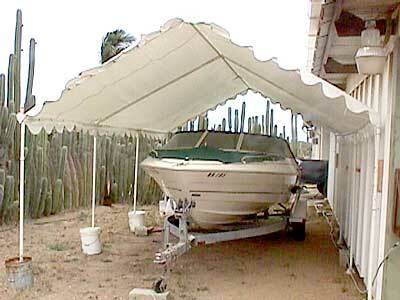 Invest in a custom-created tarp to protect your goods. 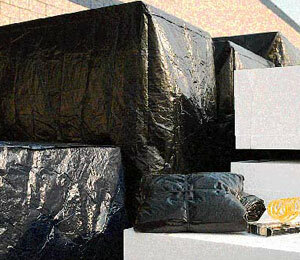 Contact us and try our practical and cost efficient reinforced shipping cover alternatives. Covers / Tarpaulins are made to your specifications out of exactly the right material for the application. 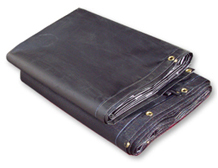 All of these TARPS can be finished with Grommets, D-rings, Pipe Loops and Hook and Loop fasteners, for even more tie-down flexibility depending on your tie-down needs. For Construction Dumpsters Rail Car Covers for Moving Loads. A lightweight reinforced material but very tough. Cover Big, Bulky, Uncrated Equipment with Heavy Duty Vinyl Coated Nylon designed for the long haul. Available for Schools, Hotels, etc. Top Quality Hardware Package. Vinyl coated steel air craft cable, cable clamps and turn buckle provided with all above ground and oval covers. 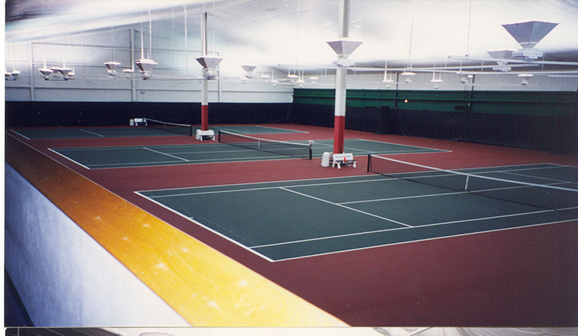 Large: Rounds are a full three feet and rectangles are a full five feet larger than pool size. This insures proper fit when used over winter cover. 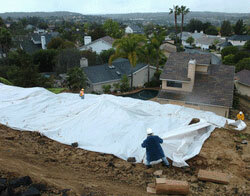 Covers are designed to be removed with all debris before winter freeze-up. Solid Brass Grommets: Set in a woven binding that won't pull off like tarp tabs. 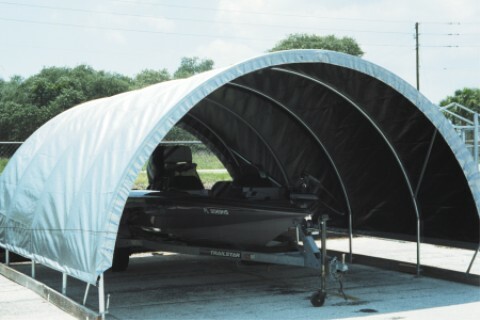 Heavy Duty, long term, off-season RV storage, silver on the outside to reflect the sunlight and heat that can cause condensation under the cover and black on the inside for total opacity to prevent mold. Completely waterproof and have an elastic front hem to pull the cover up under the front bumper or tongue. Construction requirements are many -Contain it, cure it, protect it, enclose it . 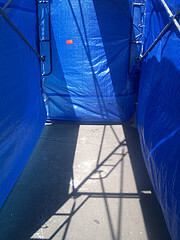 This implies a lot of uses of high quality tarps and coverings for the contractor. We at Al Toprani Trading. meet those specific needs. These are made from reinforced, lightweight, clear keep wind and rain out of work spaces while letting necessary light through. 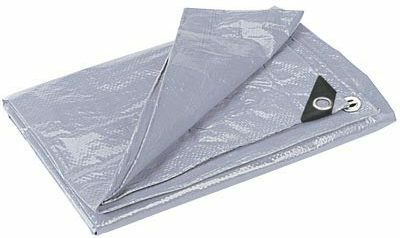 Use unsupported sheeting as simple or lay-down tarps when you must maintain a clean environment. 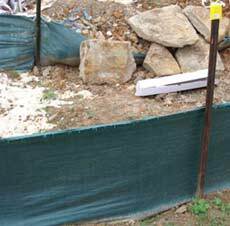 It is a woven polypropylene fabric engineered specifically to stop soil erosion at construction sites. These help in the clean up, whether from roof tear-offs or during landscaping jobs. 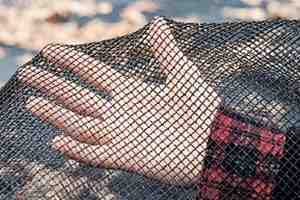 made from a special perforated material that will let water drain through. Protect Lumber, Insulation or other construction materials on the job site from vandals and the elements . Choose black/white reversible material when you need to control heat and condensation build up, or clear when you need visibility. Site Designed and hosted by Royal Market Inc.